To increase access to safe infant sleep surfaces and reduce risk of sleep-related infant deaths, the Georgia Department of Public Health implemented a portable crib distribution and safe sleep educational program. The aim of this evaluation was to compare parental knowledge and practices related to infant sleep before and after receipt of the safe sleep educational program and crib. A prospective, matched pre- and post-test cohort design with a follow-up survey was utilized to evaluate changes in knowledge and practices. Female participants were recruited through the county health department and met the following criteria: (1) between 32 and 40 weeks pregnant or within 3 months postpartum, and (2) demonstrated financial need. Participants completed a survey prior to the start of a group educational program and upon program completion. For those who agreed, a follow-up phone survey was conducted approximately 10 weeks after program completion or after the infant’s birth. McNemar’s Chi square tests were conducted to detect significant differences between specific items on pre-test, post-test, and follow-up surveys, and paired sample t tests were conducted to compare differences in knowledge and practice scores. A total of 132 participants completed matched pre- and post-test surveys and 76 completed follow-up surveys. Knowledge of recommendations regarding position, surface, environment, smoking, breastfeeding, and pacifier use increased significantly between pre- and post-test, with most participants maintaining knowledge at follow-up. The proportion of recommended practices also increased significantly. A group-based safe sleep educational program can be effective in reducing risky infant sleep practices. Shannon Brown—Formerly Public Health Associate in the Centers for Disease Control and Prevention (2015–2017). 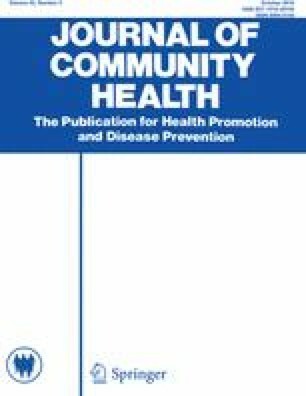 The authors wish to acknowledge funding for this project by the 1998 Society and the Georgia Department of Public Health. The authors also wish to acknowledge the assistance and support of the Fulton County Health Department, specifically, Trina Dennis; the Georgia Safe Infant Sleep Coalition; and Lauren Polatty, MPH. We would also like to thank the participants who completed surveys as well as the staff who helped with program implementation and data collection. Funding for this project was provided by the 1998 Society and the Georgia Department of Public Health. This study was approved by the University of Georgia and the DPH Institutional Review Boards. Centers for Disease Control and Prevention. (2016). About sudden unexpected infant death and sudden infant death syndrome. Retrieved from http://www.cdc.gov/sids/. Georgia Department of Public Health. (2013). Reducing infant mortality in Georgia 2013 annual report. Atlanta, GA: Department of Public Health. Retrieved from: https://dph.georgia.gov/sites/dph.georgia.gov/files/MCH/RIM_Ga_2013report.pdf. Georgia Department of Public Health. (2016). Breastfeeding initiation and duration. Atlanta, GA: Georgia Department of Public Health. Retrieved from: https://dph.georgia.gov/sites/dph.georgia.gov/files/related_files/site_page/GA%20PRAMS_Breastfeeding_ProviderBased_FactSheet.pdf.